Take advantage of some of the memorable moments and experiences at The Village Coconut Island. We have aligned and selected the best experiences and food and beverages to make your stay the best it can be. Join us as we whisk you away to the iconic James Bond Island from our front pier. 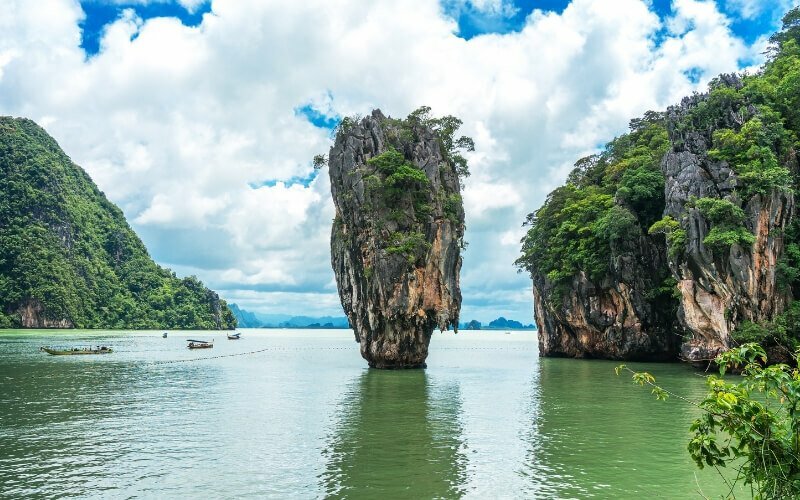 The trip allows you to explore the beautiful lagoon and passageways by kayaking sea caves and sightseeing many islands around Phang Nga Bay such as Panak Island and Hong Island. Tour includes: Guide, towels, National Park fee, refreshments and lunch. Tour duration is approximately 7 hours. Please send your booking number and preferred date in the notes on check-out. Our reservations team will send you a confirmation email. The tour is subject to change depending on the weather and sea conditions. Pregnant women and infants are not recommended to join. Located on the idyllic Coconut Island or “Koh Maprao” as it is known in Thai, The Village offers true luxury and seclusion just 500m off the coast of Phuket, Thailand. Set in a stunning position in Phang Nga Bay, the gateway to some of Thailand’s most beautiful beaches, islands and scenery. A short boat trip on our 24-hour water taxi service whisks guests to and from The Village to Phuket’s mainland. The Village truly offers the best of both worlds.